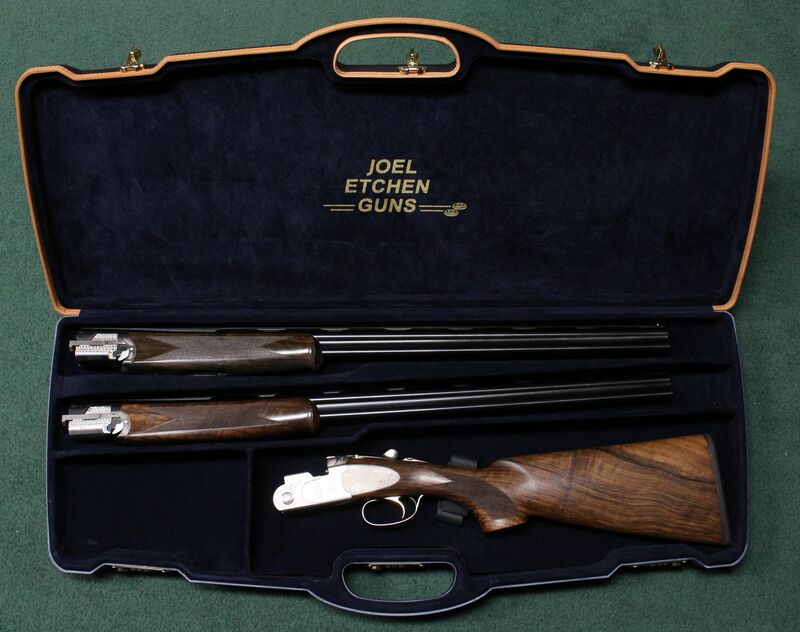 The Joel Etchen Signature Series line of guns are shotguns we have built exclusively for us. 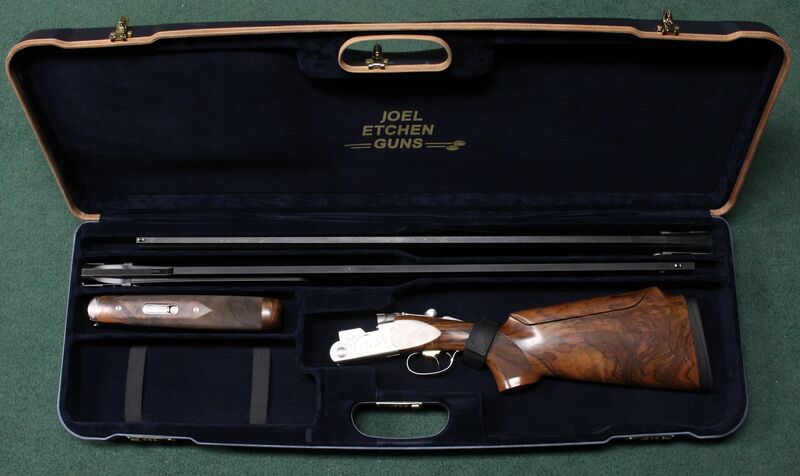 Beretta and Joel Etchen Guns have been partners in these exclusives for years, and they are currently available in field, sporting, and trap models. These guns are manufactured by Beretta for us, with specifications that we select and order. Please see the configurations below - These models are ordered with upgraded wood - you can scroll through the pictures and find the one that you like the best. Also, below you will find examples of upgraded cases that can be purchased with our special orders. Check out some of our upgraded case options and ask about exchange pricing with the purchase of your new gun! $275 exchange with new gun. 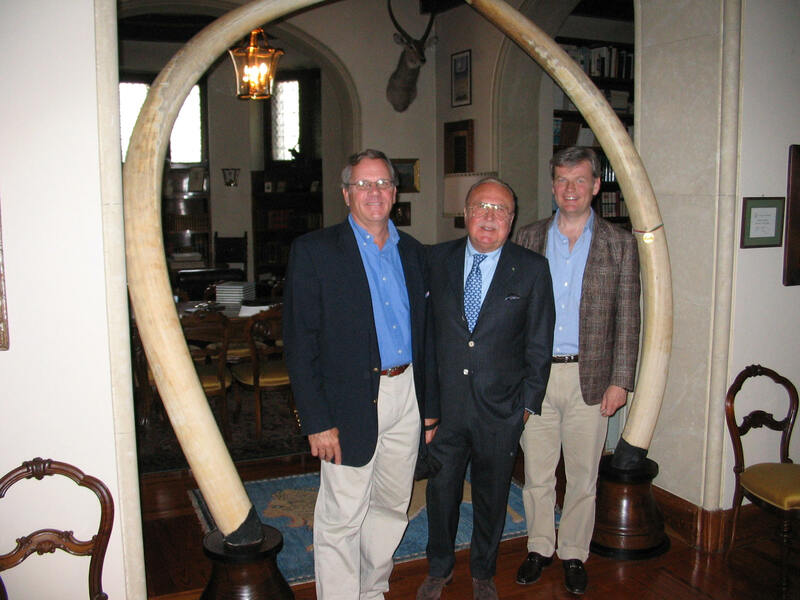 Check out a few articles written about our Signature Series guns over the years!